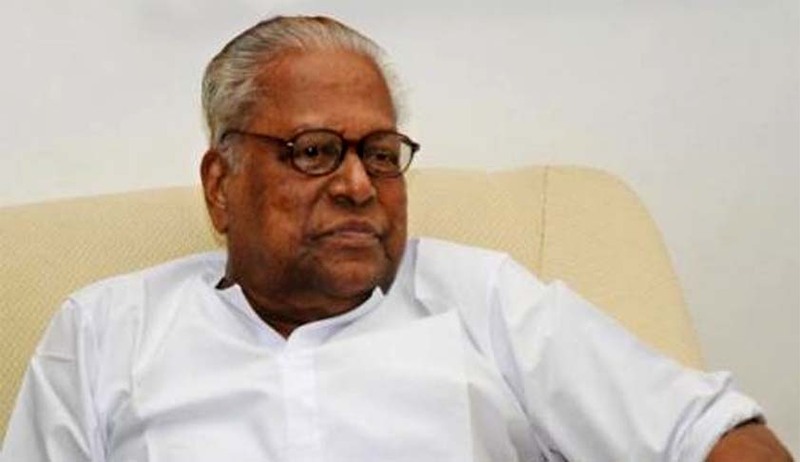 Supreme Court of India Today has dismissed former Kerala Chief Minister and CPI(M) leader V. S. Achuthanandan’s Appeal against Kerala High Court Judgment rejecting his PIL for CBI investigation in the Ice Cream Parlour Case. The State Government ruled by LDF in Kerala has not changed the stand taken by the previous UDF Government. Senior Advocate KK Venugopal argued for the State Government opposing Achuthanandan’s Appeal stating that the case is politically motivated. The case has also created a political controversy in Kerala as VS Achuthanandan, the prominent leader of ruling party has been now accused of having political motives by his own Government's lawyer . It is also reported Today that the State cabinet has decided to appoint Achuthanandan as the Chairman of Administrative Reforms Commission. VS Achuthanandan has sought a direction for enquiry by the Central Bureau of Investigation into Crime No. 59 of 2011 registered on the file of Town Police Station, Kozhikode City for offences punishable under Sections 120B, 109, 193, 214, 465, 468 r/w Section 34 IPC. This crime came to be registered on the basis of a report submitted to the Commissioner of Police, Kozhikode City by the Assistant Commissioner of Police, City Branch dated 29/01/2011. The report of the Assistant Commissioner again relates back to a Press Report wherein one K.A Rauf, who is the co-brother of a Minister in Congress led government, made serious allegations regarding successful attempts made by him to deviate the investigation in Crime No. 282 of 1997 of Nadakkavu Police Station which is known as "Ice Cream Parlour case". The report further indicated that, attempts were made to subvert justice by successfully jettisoning the trial and the incidental proceedings before the Trial Court and Kerala High Court by influencing Judges, lawyers and other Constitutional functionaries. There were serious allegations against former Kerala Minister P. K. Kunhalikutty and his co-brother K. A. Rauf . There were allegations against two former Judges of Kerala High Court and former Advocate General M.K.Damodaran (present Legal Advisor to Kerala Government). While considering the Plea, Kerala High Court observed that the allegations made are very serious and damaging, so far as the two pillars of our democracy; i.e., the Legislature and the Judiciary. True or false, the accusations raised were of very serious concerning. If true, the very foundation of the judicial system is shaken and puts the entire legal fraternity in a very dark shade; darker than the darkest that befell the society. If false, by the sheer nature of allegations or accusations made, it puts the accuser in a very bad light and he owes an explanation to the society at large, apart from other legal proceedings. Finally the Bench of Manjula Chellur and Vinod Chandrant had dismissed the Petition on the following grounds. i) The prayer for CBI enquiry was made on the ground of laxity in investigation carried on by Special Investigation Team. Such attack comes to an end with the filing of the final report. ii) We are of the opinion, necessarily we have to scan through the material available in the CD and final report if we were to consider ordering a fresh investigation and this is nothing but usurping the power of Magistrate conferred under the Code of Criminal Procedure. This results in pre-empting the competent Court to exercise its jurisdiction; which in any event Supreme Court has discouraged and the Courts monitoring investigation are cautioned against on more than one occasion. iii) None of the persons (22 in number) against whom accusations are made are made parties to the proceedings. No doubt, before the Magistrate, at the stage of consideration of final report, accused may not have right of audience but nevertheless a Public Interest Litigation, seeking fresh investigation by CBI, without hearing the persons against whom accusations are levelled, cannot be proceeded with. iv) We make it explicit that we are not in any manner giving our assent of approval to the final report, nor do we foreclose the prayer for fresh investigation by the CBI. However, the hierarchy of legal forums is competent to do so when the Magistrate lacks such competence. v) The final report is pending consideration before the Magistrate's Court. Any aggrieved person having locus standi can always point out the lacuna in the investigation and seek appropriate remedy, including direction for further investigation, from the Magistrate's Court, which is the competent authority under CrPC.